Amcham Tunisia is Affiliated with the U.S Chamber of Commerce, the world’s largest business federation representing more than three million businesses of all sizes, sectors and regions. 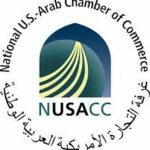 AmCham has a strong partnership with the National U.S.-Arab Chamber of Commerce (NUSACC), which is America’s longest serving organization dedicated to U.S.- Arab business and widely regarded as the voice of American business in the 22 countries of the Arab World. 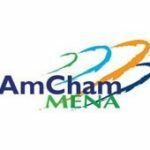 AmCham Tunisia is an active member of AmCham MENA Council; one of the most important organizations that fosters regional cooperation, while coordinating efforts among AmChams to promote greater. 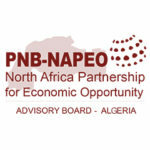 AmCham Tunisia represents the North Africa Partnership for Economic Opportunity (PNB-NAPEO) in Tunisia; it is a public-private partnership of US and North Africa business leaders, entrepreneurs, civil society leaders, and governments with a mission to foster job creation, entrepreneurship, and education with focus on youth. 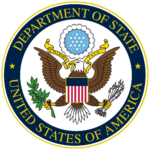 AmCham Tunisia has wide partnership with the U.S Embassy in Tunisia.